Pine Crest School | Brian Bernick, M.D. Dr. Brian Bernick is the Co-Founder of TherapeuticsMD (TXMD), a women’s healthcare pharmaceutical company. As a board-certified OB/GYN with more than 20 years of experience, Brian is expert in menopause and frequent author and presenter who holds multiple patents related to hormone therapy and pharmaceuticals. 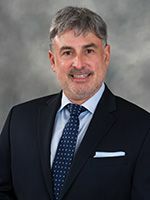 He has held leadership positions with Boca Raton Regional Hospital and the American College of Obstetricians and Gynecologists, and is currently an Associate Professor at Florida Atlantic University. Brian and his wife, Dr. Beth Familant-Bernick, are the proud parents of two Pine Crest School students: Ariella ‘21 grade and Gabriel ‘23.